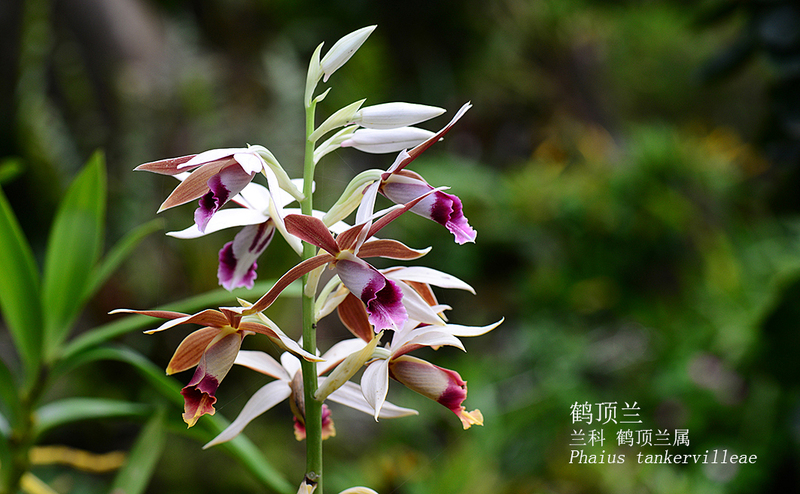 Nun orchid is named for its curved upper sepal and petals that are white on the back side, resembling a nun's cap. These spectacular orchids have a preference for moderate light and warm temperatures, making them easier to please in homes than many other species. Those tall spikes carrying 10 to 20 flowers will appear in spring, blooming in succession and lasting for several weeks. Each flower, ranging from brown to maroon -- often with a pink or white lip -- reaches up to 4 inches (10 cm) wide and is delightfully fragrant.